I am NOT an online coach. If I can't see you train, if I can't train with you, then I won't coach you. I think it is invaluable that a coach and athlete connect both in training and on a personal basis in order for a coach and athlete to maximize their potential. I believe my experience in the military and Corporate America for the last 32 years provides me with critical communications and leadership skills that enable me to apply my teach, coach, mentor training philosophy. -The Teach/Coach/Mentor Philosophy: I believe there are three vital components to making an athlete successful. Teach: The Why! A coach must help the athlete understand the program to gain buy in. Commitment = Consistency = Improvement = Confidence = Race day results. Why are we doing this session now? I will help you understand the importance and the purpose behind workouts. Coach: Providing the right program, at the right time, to the right athlete. As a coach I am constantly pursuing the knowledge required to understand the art and science behind what I provide an athlete. Mentor: Your guide. As your mentor, I will be an integral part of your journey. I am NOT an online coach, we WILL train together. I believe that training together is critical to beginner and intermediate athletes and those new to any of the three disciplines that comprise the sport of triathlon. Training together allows me to observe form and technique, assess mental toughness and provides data points to make adjustments to your training plan. I am a certified USA Triathlon Level 1, USA Cycling Level 3, Road Runners Club of America Level 1 and US Master's Swim coach Level 1 & 2. Continuing education is critical to provide the best service as a coach. 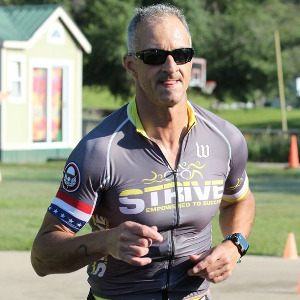 I offer triathlon coaching at two levels and single sport coaching. Commitment and Consistency. Nothing worth having comes easy! Success. Coach Alfonso (Al) Ahuja has been notified of your message. To hire Alfonso (Al) Ahuja as your coach, select the coaching service that is right for you.